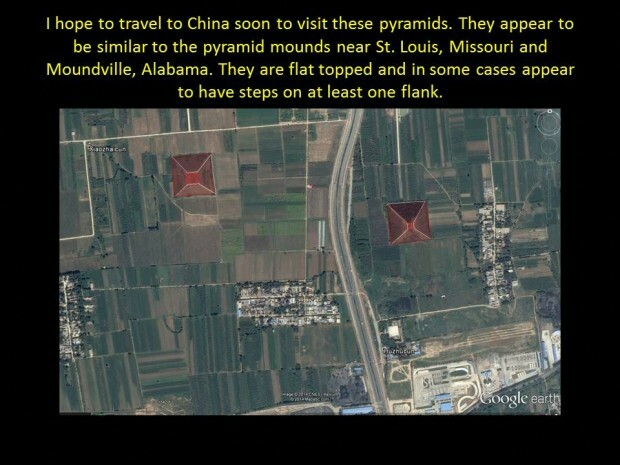 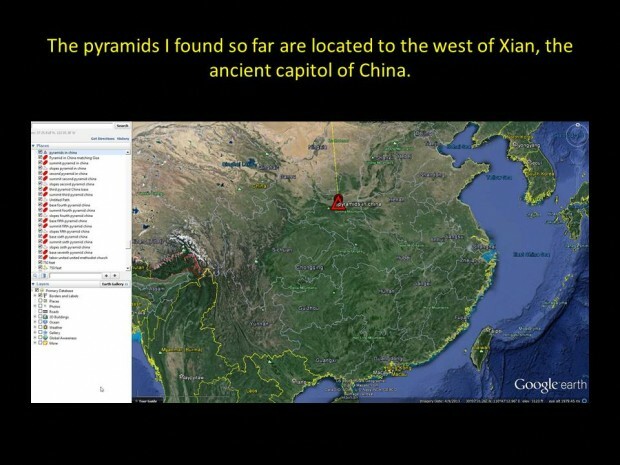 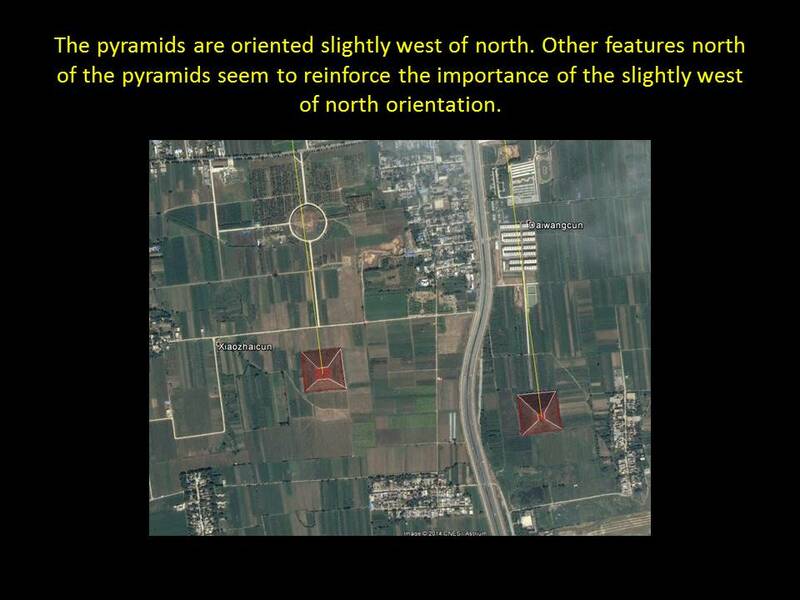 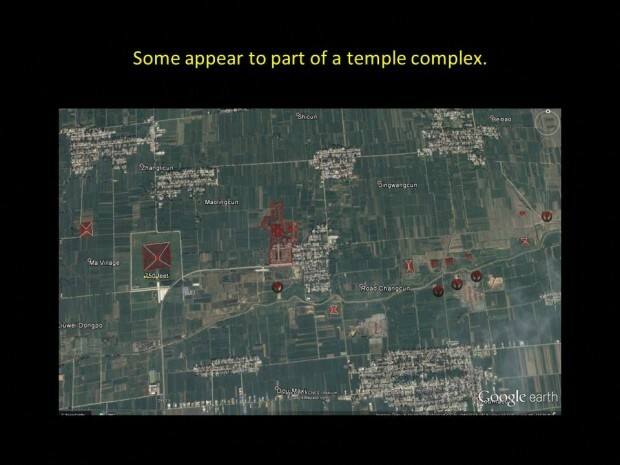 I finally located some of the Chinese pyramids on Google Earth. Those structures are tough to spot. 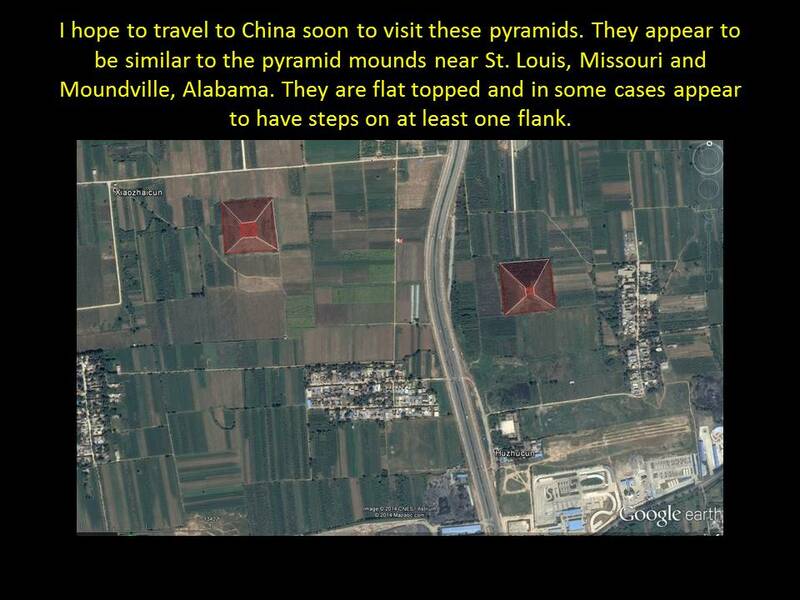 I shaded them red so you can see them. 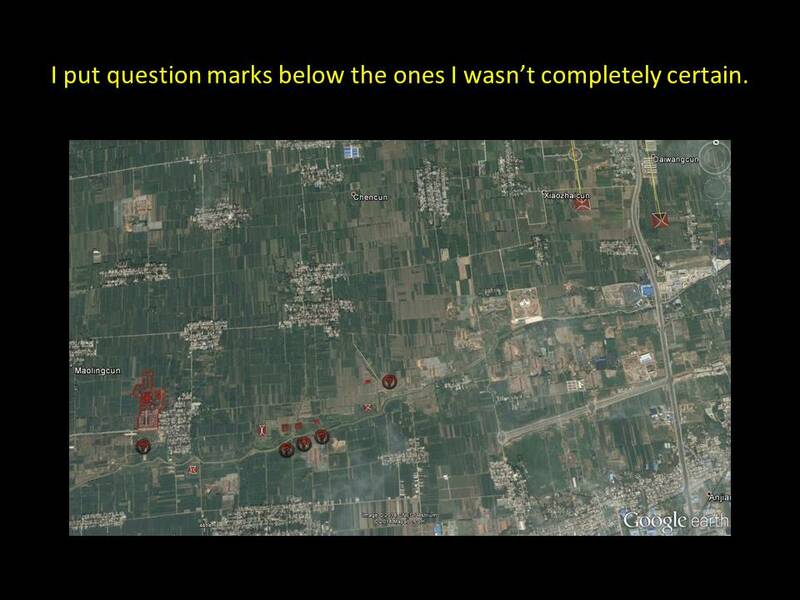 In some of the pics I turned off the shading so you could see how they look on the map. 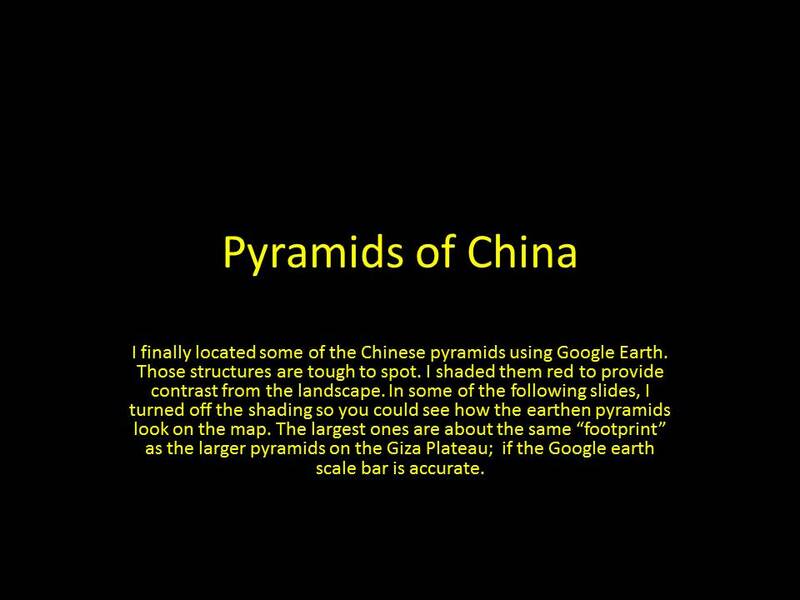 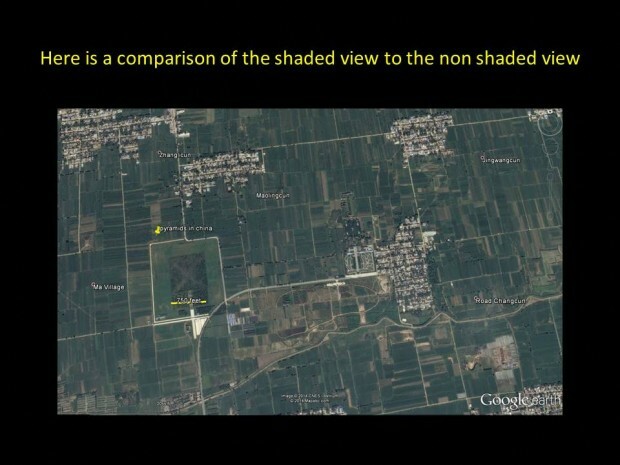 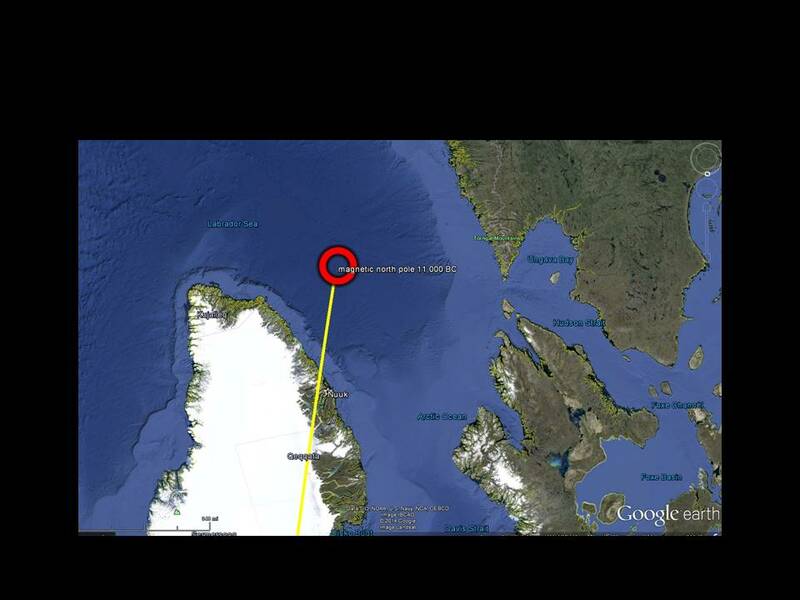 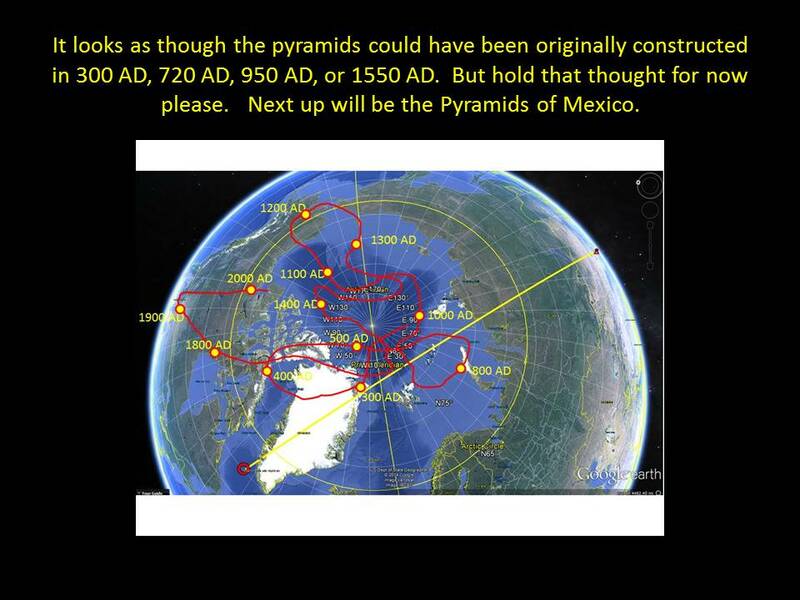 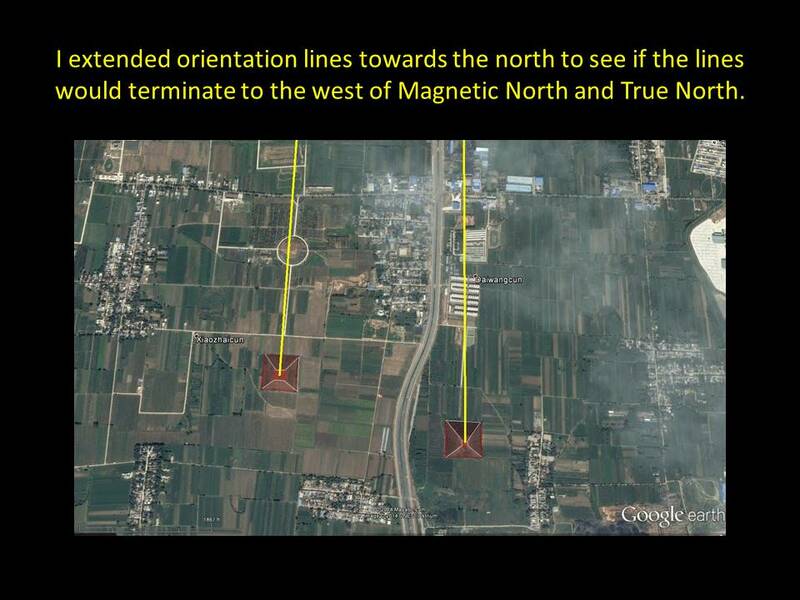 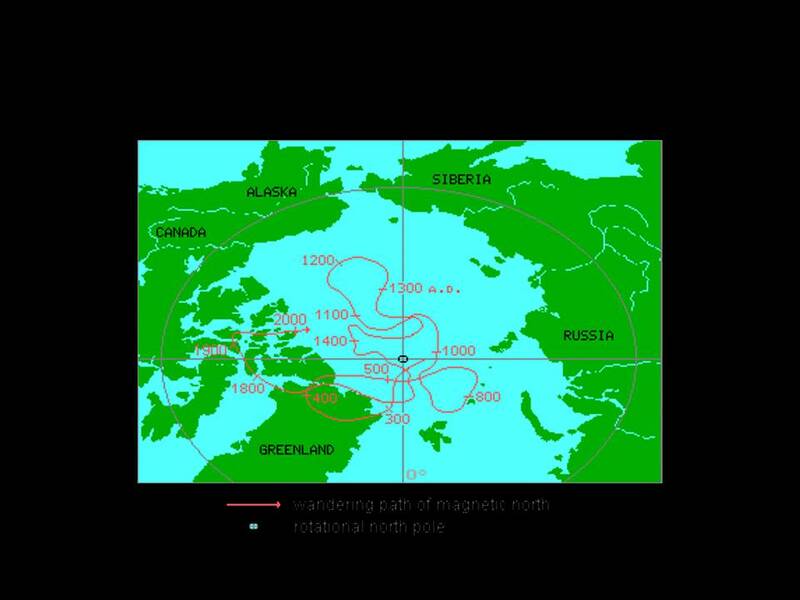 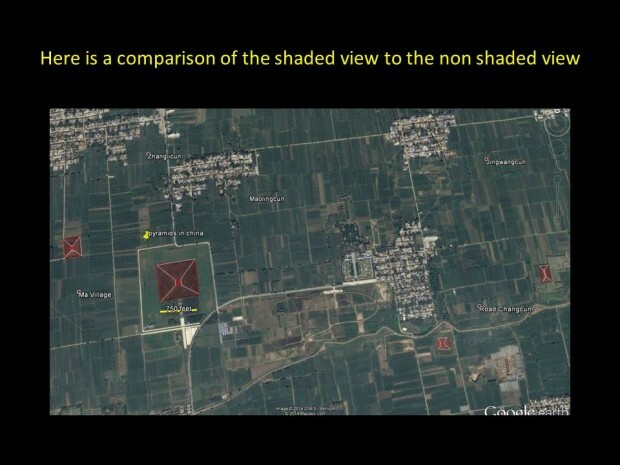 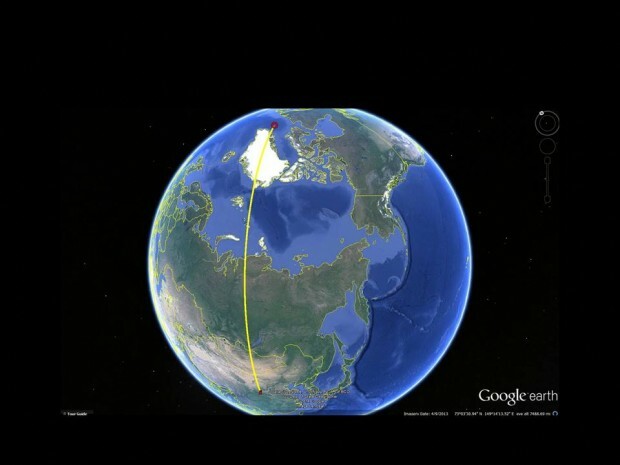 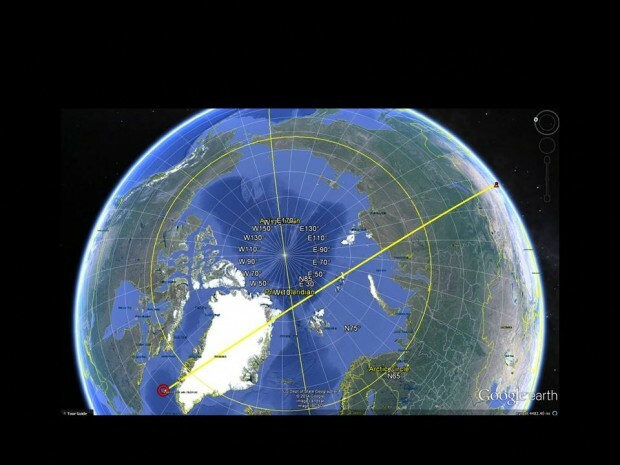 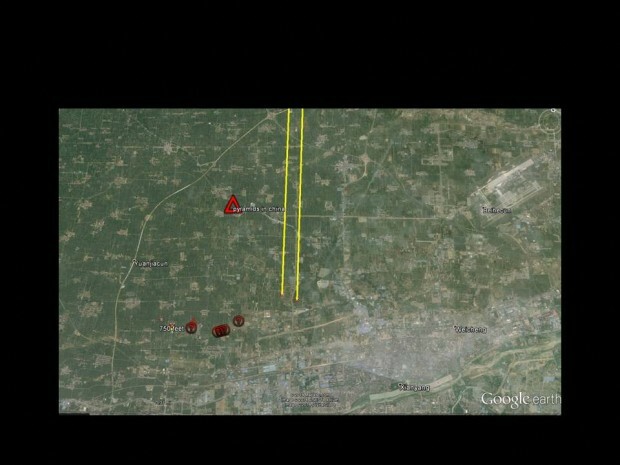 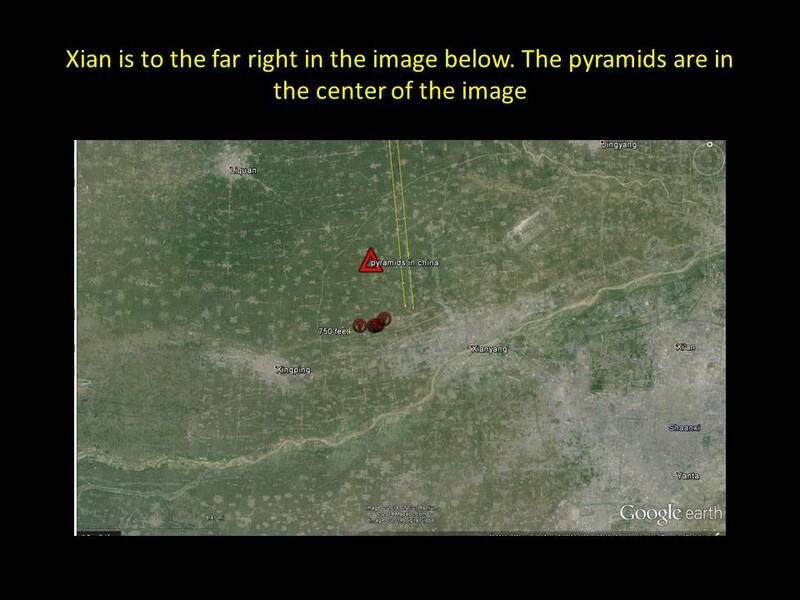 The largest ones are about the size of the pyramids in Giza if the Google earth scale bar is accurate.